Year 5A visited Havelet Bay as part of their Outdoor Learning activities this term. They completed some beach art and also did a 2 minute beach clean. The 2 minute beach clean is an initiative encouraging beach lovers to roll up their sleeves to help rid the world’s beaches of marine litter and plastic pollution, 2 minutes at a time. Every piece of litter removed from the beach matters. So it doesn’t matter if you do 2 minutes or 30. Each and every piece of marine plastic removed from the beach is a piece that will no longer go on to harm marine life. 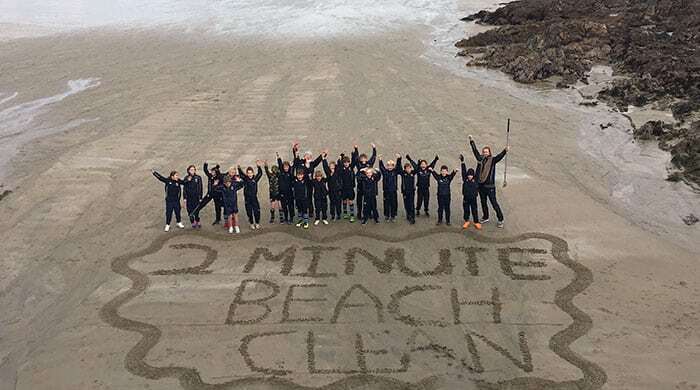 All the classes at Elizabeth College Junior School Years 3 to 6 will be participating in the 2 minute beach clean over the course of this term.